Natural Wine is not a new trend but it has becoming more and more mainstream in today’s wine-drinking culture. It began during the green movement in the late 90’s and has gone through two distinct “phases”. The first phase came from the increased demand for organic wine. The second phase became known as biodynamic wine. These two phases or trends have since transformed to become the natural wine trend. Natural wine is described as wine utilizing organic or biodynamic practices. This means that the winemaker’s primary focus is to intervene as little as possible, allowing the wine to in essence make itself. The largest trend in natural wine is not adding any sulfites to the wine. 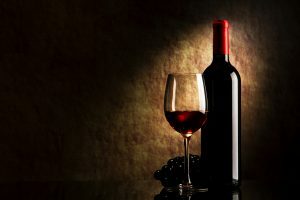 Sulfites are a stabilizing agent that helps to preserve wine for export and extended shelf life. The other aspect of natural wine is sustainability. Winemakers take a more natural approach to their vineyards, such as allowing weeds to grow in the vineyard or encouraging biodiversity.